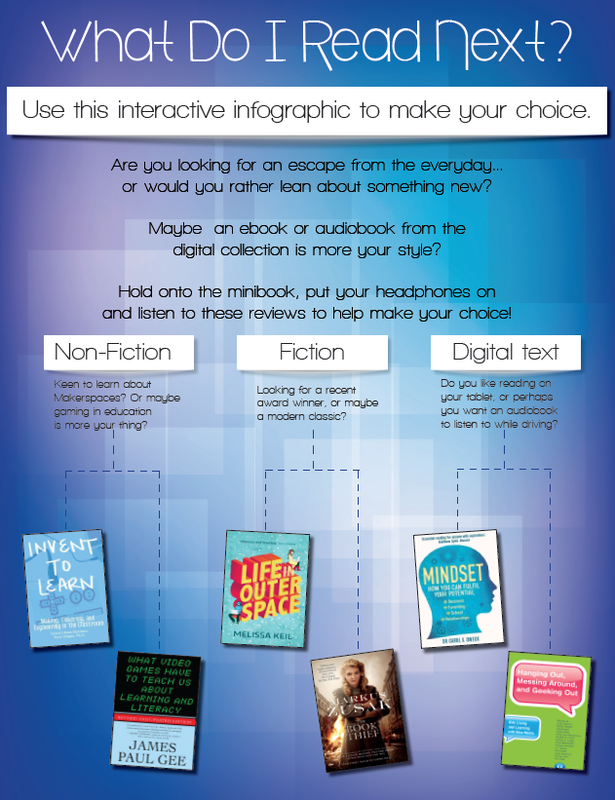 Creating Interactivity: When an infographic talks! Infographics are wonderful things. In this world of the visual, they provide an effective way of conveying a complex information graphically, so that the reader may quickly get an overview of a topic. Tools such as Piktochart make creating infographics easy; with predesigned templates, a wide range of text and icon options and a simple click and drag interface, designing an amazing looking infographic is within the reach of everyone. I wanted to go one step further, and create an infographic that was truly interactive. Ordinarily, this type of poster would invite viewers to read a short review of each book, but to introduce the element of interaction, I decided to use the Makey Makey and the Raspberry Pi to create a touch sensitive poster, where the users could point to the book of their choice, and listen to the book review. So now I had a program which allowed me to play a recording of a particular book review each time a particular key was pressed. Of course, I needed a computer to run all of this. Luckily, we had a Raspberry Pi, which, when installed with the Raspbian operating system came automatically with Scratch installed. You don’t need a Raspberry Pi computer – any computer will do – and Scratch is a free open source programming tool. 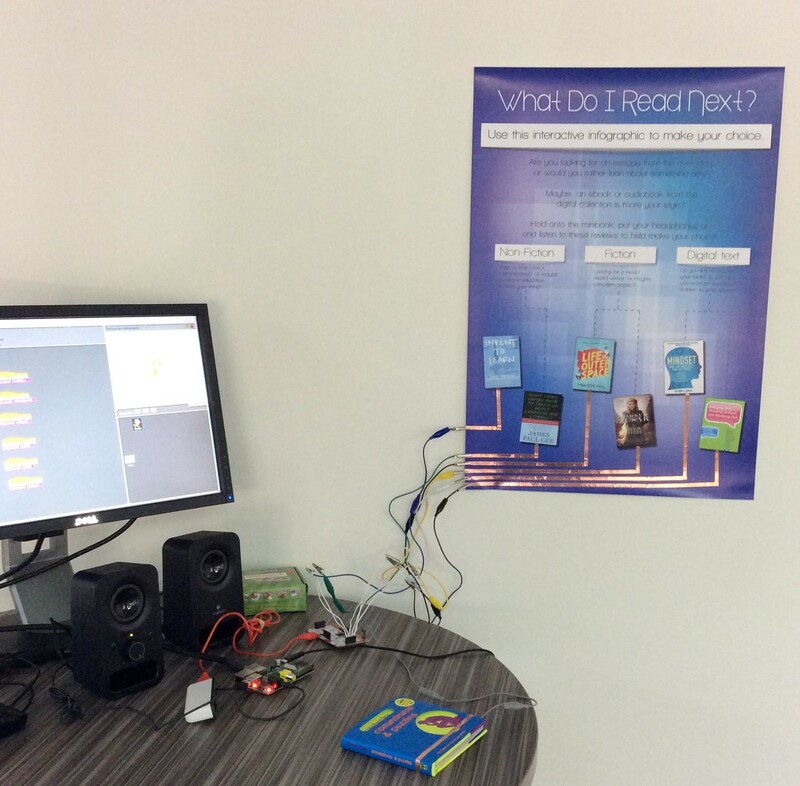 After that, I went about attaching the Makey Makey to the poster, so that the poster became the input. 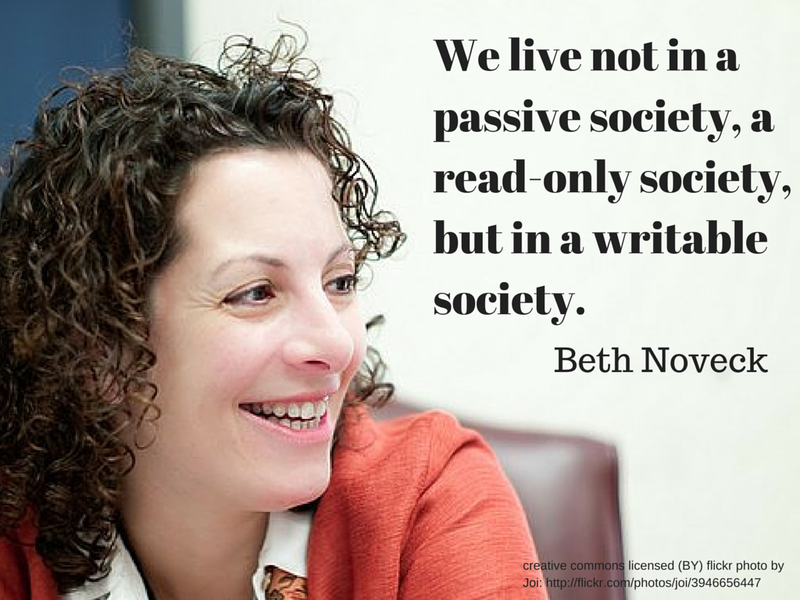 This could be applied to a wide range of contexts. 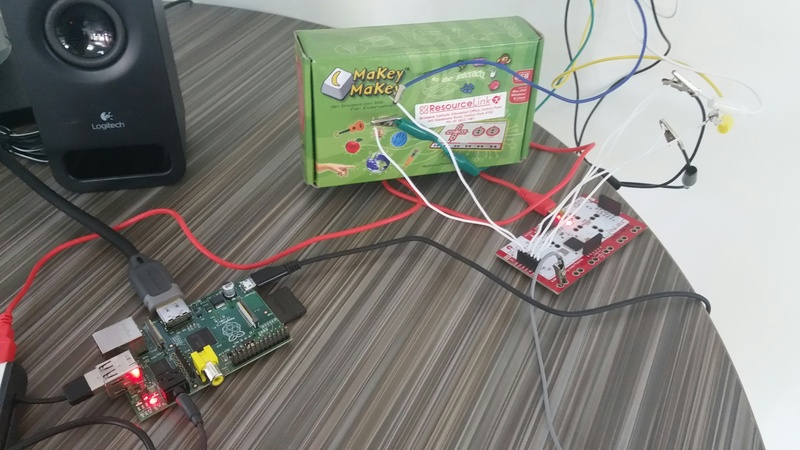 The wires and tools don’t need to be visible; you could place the Makey Makey and Raspberry Pi inside a covered shoe box, and have the cables coming out through the lid. Imagine the possibilities, now that posters can talk! This entry was posted in Design, Learning, Technology and tagged infographics, interactivity, maker, makered, makerspaces, MakeyMakey, opensource, programming, RaspberryPi, Scratch on September 29, 2014 by Kay Oddone. This is what I didn’t know!! I was never an artistic child. I couldn’t draw, my attempts at painting were abysmal and when I tried to emulate my mother’s skills in crafts it became clear that I had not inherited her talents. Being rather academic, I figured that I just wasn’t ‘creative’ and that ‘making’ just wasn’t my thing. Technology has changed all of that. It has become apparent that the view of ‘artistic’ and ‘creative’ I held growing up was far too narrow. I am creative! I am a problem-solver, I have an ‘eye’ for what looks good on the screen, and I have a very well developed sense of design. How do I know this? It all began over ten years ago, when I got my hands on a copy of a basic webpage authoring tool, and began exploring the possibilities of web design. I realised that technology provided tools where I could create something practical, something useful and something beautiful – even though I still can’t draw anything more than a stick figure! Fortunately today, there exists many avenues for creativity, and technology has grown so accessible and affordable that as educators we must offer opportunities for students to explore, develop and apply their creative skills in many different ways. Recently I have been exploring the potential of ‘makerspaces’. Combining opportunities for design, science, technology, maths, engineering and the arts, these spaces offer students the chance to learn by doing. There are so many exciting and affordable technologies that allow students to invent and imagine incredible things, and with the The Australian Curriculum: Technologies finally endorsed, now is the time to start exploring! Two key resources for those who are interested in finding out more about Makerspaces in education are the seminal title ‘Invent to Learn‘ by Gary Stager and Sylvia Martinez, and the Makerspace Playbook, which is a free PDF. Click on their images below to access more info. The resources below have been compiled to support teachers who wish to explore this area; if you have any suggestions, ideas or experiences, please drop a line in the comments. I have written extensively on implementing Makerspaces in classroom and library environments on the ResourceLink Blog: check out these posts at Resourcing the Maker Movement and Running a Maker Faire. These articles focus on the types of resources available, how to manage these resources and an example of how we implemented a hands on makerfaire at a primary school for Years 6 & 7 (11-12 year olds). I also have presented on this topic, and you can view the slides on Slideshare here. If you are looking for more ideas, resources and information, click on the images below to access a range of Pinterest boards which have been created in a number of different areas. (I wrote a blog post about these Maker books on my work blog here. 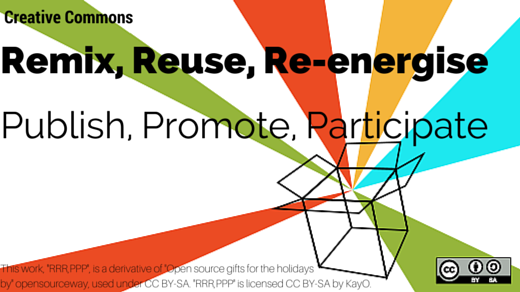 This entry was posted in Design, Learning, Technology and tagged contemporary learning, contemporary libraries, maker, makered, makerspaces, making on August 22, 2014 by Kay Oddone.